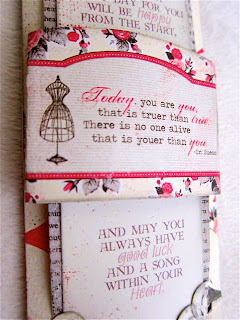 Pages From the Heart: Lucky Us Challenge Reveal! 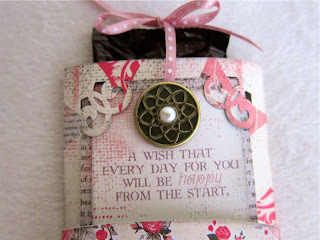 Today we're sharing Michelle's Lucky Project... which I'm pretty sure that any one of us would feel lucky to get! 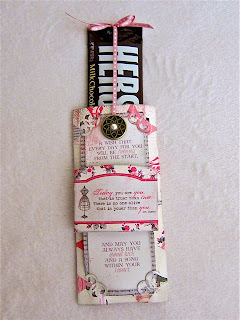 This is a quick and easy way to wrap a candy bar. The candy magically slides out when you pull the ribbon at the top. 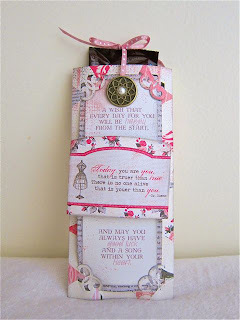 It is basically a card you can make for any occasion with the added bonus of including a little gift inside. I incorporated this month's challenge luck theme by printing out an Irish blessing that included wishing someone good luck onto a piece of Authentique's patterned paper that had a neutral background. I wrapped a die cut piece around the blessing for an additional 3-D effect. I thought the jumbo brads from We R Memory looked like Celtic coins so I included one at the top to match the sentiment and theme. 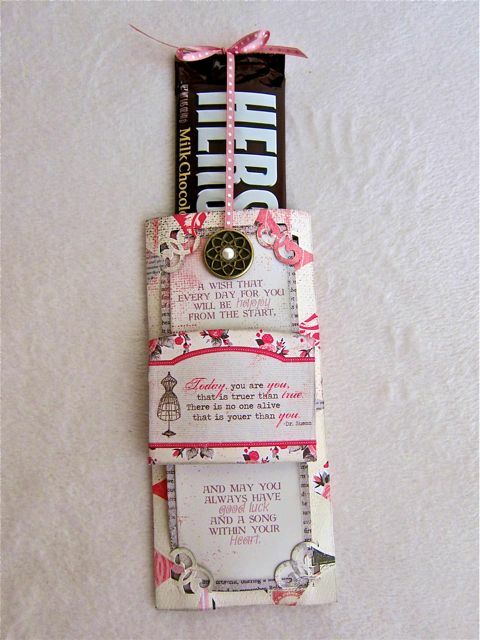 This Candy Bar idea would be great for a shower or birthday party favor! 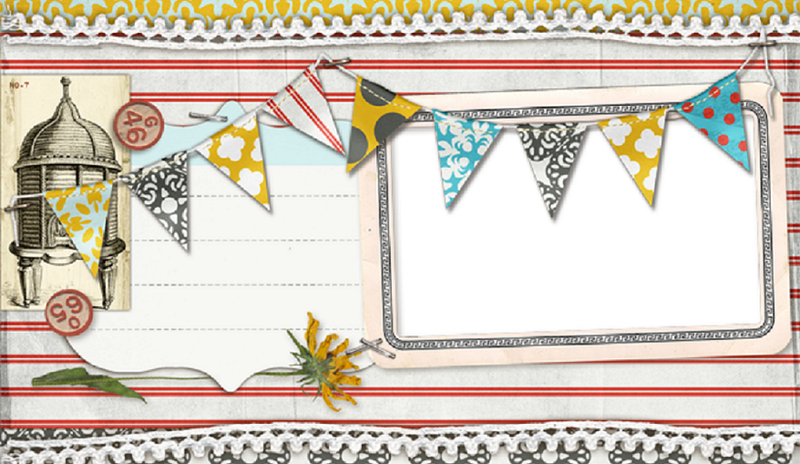 You could even do it for any holiday, just change your paper to match your theme! We're almost done sharing all of our March projects with you! Remember, you can always stop in at Page's and see the projects in person! See you tomorrow with our final Challenge project from Becky!